Bunting with a difference! 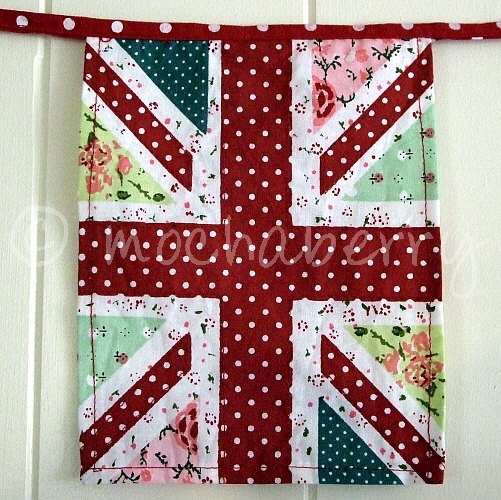 Pretty union jack flag bunting, perfect for hanging in any room or for a relaxed garden party. 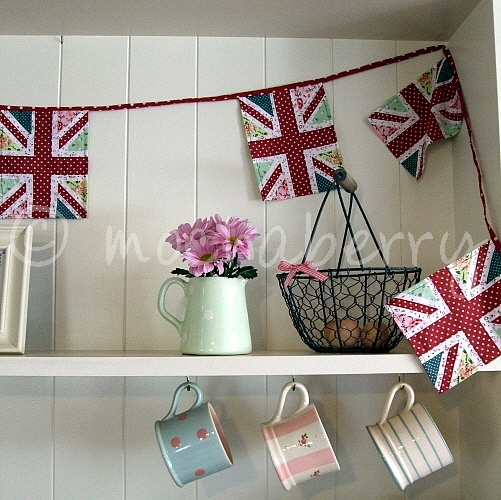 This union jack, single sided, fabric bunting is a twist on the traditional union jack. It is made from the prettiest floral and polka dot material giving a cute country vintage style look.